To declare an interest, I once met Jon Ronson, co-writer of Frank, and he showed me a picture of his dog. The film is loosely based on his experience playing keyboards for the late Frank Sidebottom AKA Chris Sievey, a musician famous for his gigantic head. Like Bono. Ronson and co-writer Peter Straughan steer away from the realm of the biopic, though the names of the characters Frank (Michael Fassbender) and Jon (Domhnall Gleeson) suggest a link to reality. Not to mention Frank’s enormous papier-mâché head. The budding songwriter Jon is enlisted at the last minute by an experimental indie band with the unpronounceable name Soronprfbs, headed in every sense by the enigmatic Frank. They head out to record an album in the Irish wilderness, where Jon becomes increasingly fascinated by the increasingly erratic frontman. As a biography of a fictional musician, the film is in similar territory to Inside Llewyn Davis, but is tonally and thematically closer to something like the Ian Curtis biopic Control. The film’s billing as a comedy is stupidly misleading, with next to no laughs in the entire piece. Actually that does sound like a comedy. Frank is a serious study of a certain type of artist, such as Ian Curtis or Syd Barrett, whose genius mind is plagued by mental illness. The problem is that Frank never shows any evidence of being a creative genius, or any good at music for that matter. As in German horror movie Der Fan, the only way we know the central character is meant to be a genius is because people keep saying that he is. The music itself is a pretentious indie mess. Fortunately, the same cannot be said of the film. 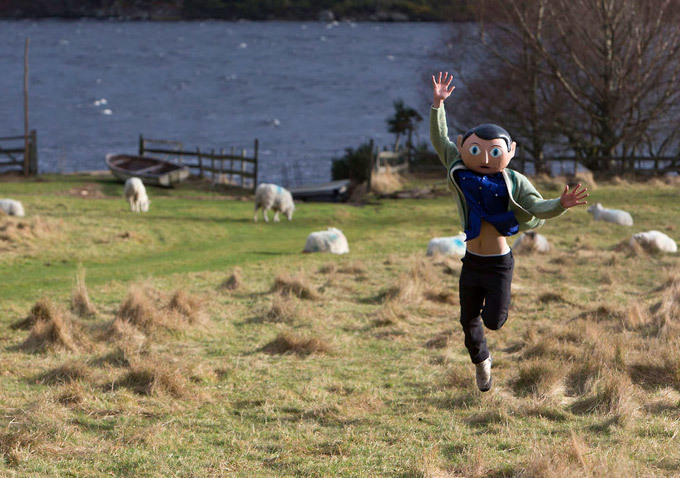 Where it truly stands out is in its depiction of mental illness and depression, and on this topic Frank is sensitive, moving and, apologies in advance, frank. At its best, the film is tragic and sad, thanks largely to Michael Fassbender. Even inside a blankly staring head and with an unshakeable Irish lilt, he’s one of the best actors around with an intimidating level of charisma. Maggie Gyllenhaal and the brilliant Scoot McNairy lend strong support, which is important when it comes to papier-mâché. 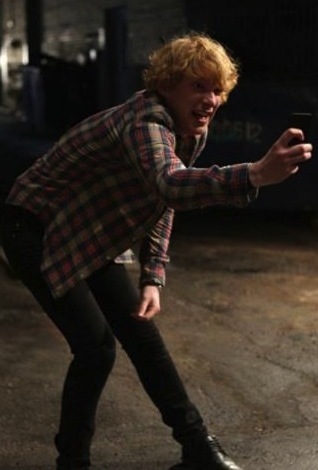 Less impressive is Domhnall Gleeson, whose performance is about as natural as a bottle of Powerade. Perhaps he should go away and be a teacher for a few years and come back as a master of his craft, like his dad Brendan Gleeson. His character uses twitter throughout the drama, with tweets appearing on the screen complete with nauseating hashtags. It feels rather anachronistic, with the trend for social media rudely interrupting the otherwise nostalgic drama. But it’s also sure to date the film relatively quickly, with future generations having to ask their grandparents what twitter was. And as anyone with parents over the age of 50 or confronted randomly by police will attest, that’s not an easy thing to explain. As in the case of director Lenny Abrahamson’s previous film What Richard Did, this is a flawed but interesting movie. A true cinematic oddity, the film succeeds in addressing the relationship between genius and madness, integrity and popularity, asking whether these are in fact false dichotomies. Strange but affecting, Frank looks at these issues with the constantly perplexed look of his massive head, making him the second best surreally dressed Frank after the rabbit from Donnie Darko.